By the nature of the sport, track and field offers a consistent set of records that can not only be compared over time, but also state to state. A 100-meter dash is the same in Ohio as it is in California. You can see it in the national high school track record database—almost every record is held by a person in a different state. We design and build record boards for track and field more than any other sport. It can be a lot of fun to see the records come in and compare them as we design and produce each record board. Of all the typical events run by high school athletes, we have a few favorites at the office. Take a look at the current record holders for the Team Fitz favorites (as of August 2018). The 100-meter dash is a staple of every track and field meet. Who’s the fastest in this short distance? Trentavis Friday of NC holds the fastest time at 10.00 seconds set in 2014. To put it in perspective that is would have placed him 7th in the Rio Olympics. The girls record holder is Candace Hill of GA with a staggering time of 10.98 set in 2015. She is the only athlete on the high school list to break the 11-second barrier. This is one of our favorite events because it’s the perfect middle ground between sprint and endurance. The fastest boys high school time is held by Darrell Robinson of WA, with a time of 44.69. It was set back in 1982, so at 37 years it has truly withstood the test of time. Sanya Richards-Ross of FL is the current record holder for the girls 400 meters with the time of 50.69 set in 2002. An impressive feat that would have landed her 6th place at the Rio Olympics. Our choice for the top distance runs? The 800 meter is too short, the 2 mile is grueling, but the mile is just right. The mile is the perfect distance to push yourself and see what your made of. Alan Webb of VA holds the record time of 3:53.43 since 2001, beating the previous record holder by almost two seconds. Even more impressive than a two-second difference is the mile record holder for the girls. Mary Cain of NY is the record holder since 2013 with a time of 4:28.25. This is almost four seconds faster than the next best mile time in the nation. 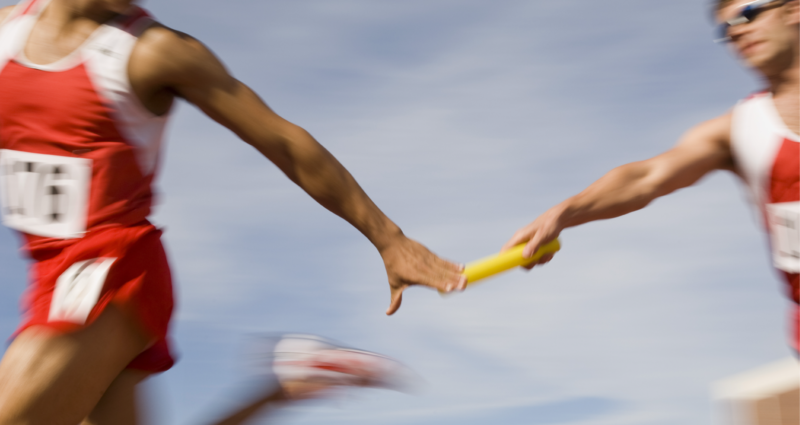 If the 100-meter dash is the showstopper of the individual events, the 4x100m relay is the show stopper of the relays. The boys record holders are from Wyatt, TX with a time of 39.76 set in 1998. Its staggering to think that a school could have four runners that as a group could run sub 10-second 100-meter legs of a race. By the way, they clocked this event at less than 40 seconds five times that year. The girls 4x100 meter relay record is held by a team in Poly, CA with a time of 44.50 seconds. This record was achieved in 2004 and has stood strong for more than 14 years. Finally, we round out our favorite records with a field event. No event quite shows off a person’s brute strength like the shotput. The boys record for 81’ 3.5” set by Mike Carter from TX. This record was set back in 1979 and no one has come within four feet of his record. The girls record is held by Alyssa Wilson of NJ. Her record-breaking throw of 58’ 1” is impressive. Even more impressive is the fact that she also owns six of the top 10 all-time high school throws. Those are just a few of our standout favorites. The rest of the high school track and field records can be found here: BOYS RECORDS / GIRLS RECORDS. If you are looking to recognize record holders, check out some of our favorite track and field record board designs or reach out today. Our professional staff would be happy to answer questions and put together a free proof and quote to proudly display your athlete’s accomplishments!